The designers at Studio 7.5 set out to create a high-performing office chair that supports people who work in a constant state of motion. The result is Mirra 2, a leaner, lighter, sophisticated design with an athletic attitude and plenty of opportunities for personalization. 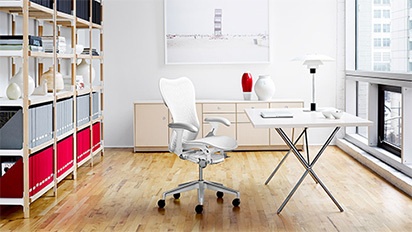 The office chairs emphasis on performance is readily visible. The Butterfly Back, a hybrid structure that merges a fabric layer with polymer veins, makes the chair more responsive, while bringing visual lightness to any environment. Support for seated movement starts with a flexible, yet supportive chair that allows your body to move freely and naturally. 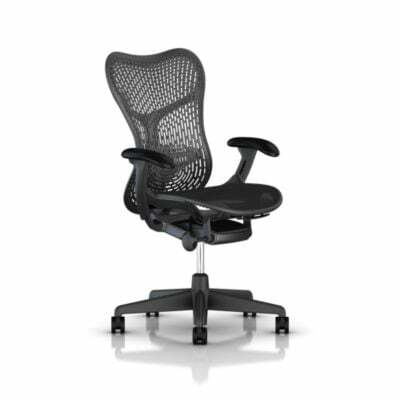 Mirra 2 Loop Spine provides torsional flex, allowing you to stretch and reach laterally, while the Harmonic 2 tilt provides a smooth, balanced feel as you recline. Both Mirra 2 back options offer passive PostureFit sacral support which tilts your hips slightly forward to maintain proper spine alignment. And both are ventilated to keep you cool, as well as supported, no matter how active you are. 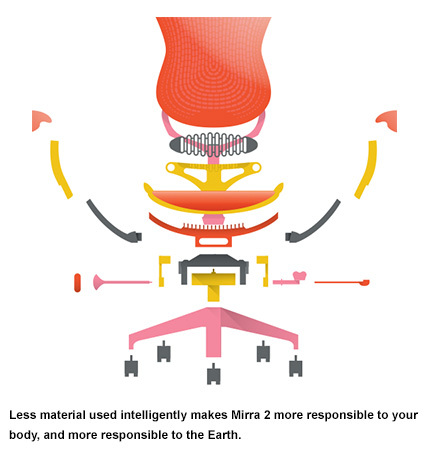 Mirra 2 Harmonic 2 tilt, with its responsive leaf-spring design, creates a smooth and balanced feel as you move from one posture to another, whatever your size or statureâ€”from 90 to 350 pounds. 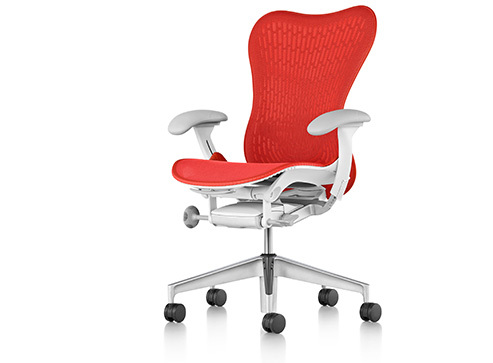 The lean design of Mirra 2 brings a sophisticated profile and visual lightness to any space. An emphasis on performance is visible. 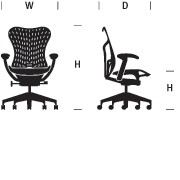 The chairs individual components and their function are apparent and celebrated, and vary accordingly in material and appearance. As performance defines the look of the chairs components, their coloration allows significant options for defining your chairs overall aesthetic. Added selections for textiles, back loop and spine colors, and base finishes offer flexibility and encourage personalization. Ten years and over 1.5 million chairs later, the designers of Studio 7.5 believed it was time to evaluate and, if necessary, rethink their original design. For one thing, they noted, work is evolving. 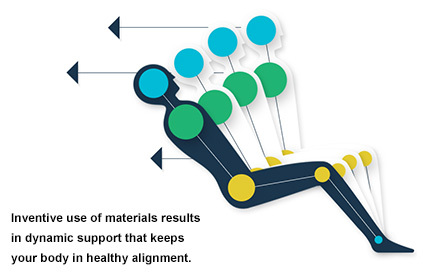 People move, and the more they're in motion, the more they need support that moves with them. Precisely because of the new agile way people work today, the designers found the idea of a highly individualized personal chair is still valid. So, Mirra 2 shares the same athletic attitude and intuitive adjustments of the original, but Studio 7.5 advanced the material and form of this idea in virtually every aspect. Studio 7.5 believes that design is by its nature collaborative, and the solving of complex design problems requires many minds. The group, however, balances this cooperation with a good deal of skepticism: "prove your point or the idea is dead" remains a guiding principle, and one the designers applied to every aspect of Mirra 2. Using full-scale models, the designers of Studio 7.5 test the validity of a design and its component parts. For Mirra 2, every piece received this tactile, real-world treatment until the most elegant solutions emerged. In designing the Mirra 2 Butterfly Back, the designers garnered valuable information from every iteration. This eventually led to an innovative new method for merging a fabric layer with polymer veins to create exceptional responsiveness.